Was Judge Mark Fuller's decision to resign somehow tied to recent appellate ruling on Don Siegelman case? The note came from a source eight days ago: Look for the U.S. Eleventh Circuit Court of Appeals to force out District Judge Mark Fuller now that a ruling has been issued in the Don Siegelman case. That tip pretty much came true late today as Fuller announced that he will resign his lifetime appointment in the Middle District of Alabama, effective August 1. The resignation will take effect almost one year after Fuller was arrested on charges of beating his wife in an Atlanta hotel room last August. I suspect from rumblings I am hearing that now that the Siegelman case is off their plate that they are going to be letting Fuller go. * Was the resignation Fuller's idea or did the judicial and political establishment, under fire from groups that take violence against women seriously, force him out? * Just how connected is the resignation to the Eleventh Circuit's May 20 ruling that denied Siegelman's most recent appeal? After all, Fuller was the trial judge in the Siegelman case, and his actions have been widely criticized by an array of legal experts. The answer to the first question, in my view, clearly is yes. It's likely that powerful individuals in the judiciary and Congress informed Fuller that he was heading for impeachment--and that could lead to revelations about ugliness in his past that, so far, has been kept under wraps. That could prove embarrassing to high-profile GOP politicos, such as U.S. Senators Richard Shelby and Jeff Sessions, who supported Fuller's appointment, It also could prove embarrassing to those in the George W. Bush administration who pushed to get Fuller on the bench. (4) The best way to keep that unsightly story under wraps was to get rid of Fuller and keep Siegelman in prison, even though the record shows the former governor and codefendant Richard Scrushy were convicted of a "crime" that does not exist under federal law. I suspect that some combination of items 2, 3, and 4 is in play, and that should sicken any American who gives a hoot about justice. It hints that an innocent man--one that powerful figures know is innocent--is being kept behind bars as part of a cover up. It hints that Siegelman's most recent appeal was not decided on the merits but on what certain individuals saw as the politically expedient path. Most troubling of all, it hints at obstruction of justice, of shadowy figures acting behind the scenes to rig an appellate ruling--and that points to possible criminality. Getting Mark Fuller off the federal bench is a step in the right direction. But the story is far from over; we see signs that the corruption he helped spawn is far from over. 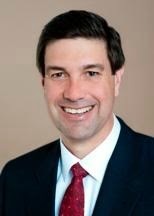 Alabamians long have had reason to wonder about the honesty of Rob Riley, Homewood lawyer and son of former governor Bob Riley. After all, the Federal Election Commission (FEC) fined the junior Riley $10,000 in 2008 for shadowy actions connected to one of his father's Congressional campaigns. Published reports indicate the same case involved money laundering, connected to a Virginia-based company called Triad Management Services--and Riley likely escaped prosecution only because of his father's political connections. On top of that, Riley has claimed to be morally opposed to gambling, even though his connections to the gaming industry, via a company called Crimsonica, apparently date to at least 1985. Want further proof that Rob Riley has a fractured relationship with the truth? Just check out court papers and published reports about the defamation lawsuit he and fellow GOPer Liberty Duke filed against my wife and me. Both Riley and various attorneys connected to the case (mostly from Riley's own firm) demonstrate an uncanny ability to twist the truth beyond recognition. We will examine this subject in a series of posts, starting today with perhaps Rob Riley's most widely circulated lie about his lawsuit against me, my wife, and the Legal Schnauzer blog. This whopper comes from an article Campbell Robertson wrote about the case at The New York Times. (1) Riley claims I refused "to engage with the legal process"; the public record shows that is false--My wife, Carol, and I engaged the process by filing a Motion to Quash Service because a deputy from Shelby County, Alabama, conducted an unconstitutional traffic stop to "serve" us with the Riley/Duke complaint. (See motion at the end of this post.) Our motion, under the law, put the burden on Riley/Duke to prove that service was conducted properly, and the record indicates they never did that. (2) Riley claims Judge Claud Neilson had "the leeway to make a final ruling"; more than 200 years of First Amendment law show that is false--Neilson's three primary rulings--granting Riley/Duke a temporary restraining order, preliminary injunction, and permanent injunction--all are wildly contrary to U.S. Supreme Court precedent. That is perhaps most clearly spelled out in a foundational case styled Near v. Minnesota, Erwin Chemerinsky, one of the nation's foremost First Amendment scholars, has shown in scholarly articles and legal briefs that all three remedies Riley/Duke sought are unconstitutional. And that means Neilson had no "leeway" to grant them. In fact, experts quoted elsewhere in the Times article state that Neilson's actions were unlawful. (3) Riley claims I was continually able to "ignore the judge"; the record shows that is false--Again, I engaged the court by filing a Motion to Quash Service, which is the first order of business in any case where service is questionable. Without proper service, the court has no jurisdiction over defendants and no authority to decide the case. A 2012 Alabama Supreme Court ruling styled Ex parte Trust Company of Virginia shows that, where plaintiffs fail to meet their burden of proving that service was properly executed (as Riley/Duke failed to do here), the court's orders directed to defendants "are void and due to be vacated." Trust Company of Virginia is right on point with our case, and we wrote about its implications here. Authority for the seizure ends when tasks tied to the traffic infraction are—or reasonably should have been completed. The Fourth Amendment may tolerate certain unrelated investigations that do not lengthen the roadside detention . . . but a traffic stop “become[s] unlawful if it is prolonged beyond the time reasonably required to complete th[e] mission” of issuing a warning ticket. . . . Without additional reasonable suspicion, the officer must allow the seized person to depart once the purpose of the stop has concluded. 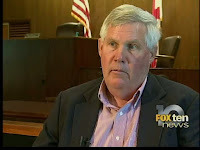 Alabama officer Mike DeHart never even hinted that he had suspicion of criminal activity connected to our automobile, so he had no grounds to prolong the traffic stop by giving us court papers. By law, he had to allow us to depart, but he did not do that, making the stop unconstitutional and service unlawful. That means the court, despite Rob Riley's smart-alecky comments to The New York Times, did not have jurisdiction over us. And that has profound legal implications, which we will discuss in detail shortly. For now, we know that Team Riley/Duke does not have much to show for its dubious defamation lawsuit. My reporting never has been found to be defamatory at trial, because there was no trial. That's because Riley/Duke did not ask for a trial and they did not seek a jury to hear their claims; instead, they wanted Neilson to act as a one-man censor, in violation of First Amendment precedent, as set out in a case styled Bernard v. Gulf Oil Company, 619 F. 2d 459 (Fifth Cir., 1980). Rob Riley has proven, as if we didn't already know, that he and his legal minions have a hard time staying in touch with the truth. More evidence of that is coming up. A hearing on a motion to vacate a $3.5-million default judgment in the Jessica Medeiros Garrison case has been postponed for a second time. The hearing originally was scheduled May 20 in Jefferson County Circuit Court, but Judge Don Blankenship, on his own motion, moved it to June 4. Blankenship now has reset the hearing for 10 a.m. on June 18 in Room 600 of the Jefferson County Courthouse. Attorney Davy Hay, of Prattville, is representing me in the case. Bill Baxley, of Birmingham, represents Garrison, the former campaign manager for Attorney General Luther Strange. Baxley also has represented a number of individuals in the ongoing grand-jury investigation in Lee County, with indicted House Speaker Mike Hubbard at its center. In at least one instance, Baxley co-represented a party in Lee County with Rob Riley, who filed a dubious defamation lawsuit that led to my five-month incarceration. A federal judge, who helped ensure that alleged hunting-club corruption in Alabama divorce courts would stay under wraps, died recently (May 9) in Savannah, Georgia. A prominent Georgia lawyer wrote a glowing tribute of B. Avant Edenfield, calling him a "judge for the ages." Edenfield's legacy will be far from glowing in Alabama, where he ensured that mothers, fathers, and children will continue to suffer from divorce courts that are designed to bring in big, easy bucks for lawyers--while leaving unlucky litigants holding crumbs. That's not just my opinion. Multiple Alabama lawyers--victims themselves of corrupt divorce courts--have filed federal lawsuits, alleging that certain judges and lawyers gather periodically at remote, woodsy locations to rig divorce cases. Documents in one of the lawsuits allege that hunting-club participants also rigged criminal cases, and we see no sign that the court seriously considered that issue. A hunting club in rural Alabama provides the setting for Alabama judges and lawyers to fix divorce cases, according to two lawsuits filed in U.S. district court. Public documents indicate the club also might be involved in fixing criminal cases. 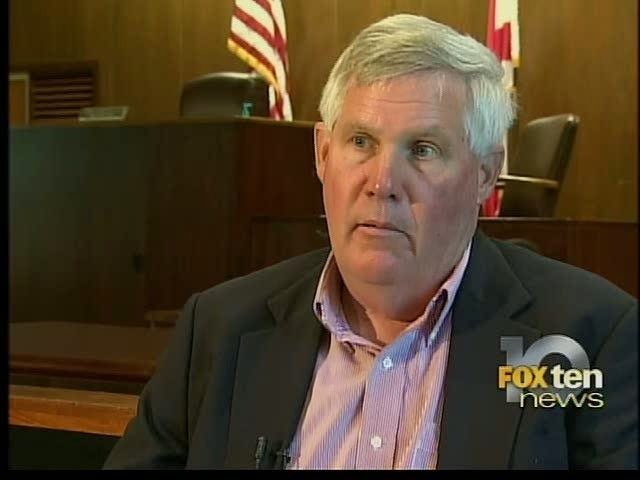 The allegations do not come from a regular citizen; they come from a legal insider--attorney Joseph W. Blackburn, who teaches tax law at Samford University's Cumberland School of Law. Both lawsuits claim that a hunting club--which sources tell Legal Schnauzer is in Lowndes County, near Hayneville--served as the base for a criminal enterprise under the Racketeer Influenced and Corrupt Organizations Act (RICO). Included as defendants in the lawsuits are Birmingham attorneys Charles Gorham, George Richard Fernambucq and L. Stephen Wright--in combination with "unknown defendants"--who hunted and fished together as controlling members of the hunting club. Judge John C. Calhoun, who lost his re-election bid in 2006, and Judge R. A. "Sonny" Ferguson, who remains on the domestic-relations bench (now retired), also are defendants. In the first lawsuit, filed in 2007, Blackburn was a plaintiff, claiming he was injured by the corrupt actions of lawyers and judges during his divorce from Sharon Lovelace Blackburn, a federal judge. In the second lawsuit, filed in August 2009, Blackburn serves as attorney for plaintiffs claiming they were victimized in Jefferson County domestic-relations court. According to court documents, Blackburn accuses the judges and lawyers of conspiring to run "a 'good ole white boys' club,' aimed at ensuring that only white males, to the exclusion of everyone else, would run the Jefferson County, Alabama circuit-court system." (c) defraud the public, specifically women and minorities, by keeping the club secret from them while insiders benefited from favorable judicial treatment. If proven, those charges could have sent any number of lawyers and judges to prison. On the civil side, they would have resulted in sizable damage awards for injured plaintiffs. But Edenfield made sure that wouldn't happen by denying Blackburn an opportunity for discovery--butchering simple procedural law in the process. What happened? Both sides presented "matters outside the pleadings," in the form of affidavits, and that meant that the defendants' Motion to Dismiss had to be converted to a Motion for Summary Judgment--with both sides given a chance to conduct discovery. Snook states, in pertinent part: "This court has often noted that summary judgment should not be granted until the party opposing the motion has had an adequate opportunity for discovery. . . . The party opposing a motion for summary judgment has a right to challenge the affidavits and other factual materials submitted in support of the motion by conducting sufficient discovery so as to enable him to determine whether he can furnish opposing affidavits." Sounds simple, doesn't it? So how could federal judges get it wrong? Well, Edenfield's own words show he intentionally cheated the plaintiffs . . . In that the Court is relying on evidence outside the pleadings, it will apply the summary judgment standards set forth in Part II(C) supra. That tells us that Edenfield was not incompetent; he knew the rule. Unfortunately, it also tells us that Edenfield was a cheat. He unlawfully denied discovery to make sure the hunting-club scheme would not be exposed to the public. He wanted to make sure that lawyers Fernambucq, Gorham, and Wright (and probably others) would not have to sit for depositions or turn over sensitive documents that might have outlined the criminal scheme. In other words, Edenfield engaged in a cover up. And that has led to untold misery for too many Alabama families. In terms of fixed criminal cases, it might have helped dangerous individuals return to the streets. Did Judge Edenfield care about the everyday people he harmed, or the lives he might have put at risk? Apparently not. It seems clear he found it more important to protect certain members of the legal tribe than to ensure the justice system worked according to law. Despite our close relationship, he never favored me or my clients. If anything, he bent the other way to ensure fairness. For Judge Edenfield, the law was always supreme and, when it came to the law, relationships came second. Based on Edenfield's handling of the hunting-club case, those two sentences are a crock of pure manure. Perhaps the late judge got some cases right. But in one that mattered a lot to many Alabama families, he was little more than a crook in a snazzy robe. In my experience, a judge who is crooked in one case almost certainly was crooked in others. The law was "always supreme" for Judge Edenfield? The hell it was. In at least one case, protecting members of the legal tribe clearly was No. 1--and Edenfield's own words prove he ignored the law. My incarceration, ordered by retired Alabama Circuit Judge Claud Dent Neilson, was the third longest for a journalist in American history. It was, by far, the longest for a journalist in a purely civil matter. And it was the only one involving an alleged violation of a preliminary injunction that was unlawful on its face--running contrary to more than 200 years of legal precedent. All of that means Neilson's order sending me to jail likely was the most unlawful First Amendment ruling in U.S. history. I never set out to make history by being abducted from my own home and thrown in jail. But research shows that is exactly what happened. The record for longest incarceration of a U.S. journalist belongs to Joshua Wolf, a freelance videographer from San Francisco, who spent 226 days behind bars in 2006-07. Second on the list is Houston freelance writer Vanessa Leggett, who spent 168 days behind bars in 2001-02. No. 3 is yours truly, who spent 155 days in the Shelby County Jail in 2013-14. 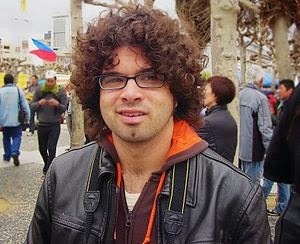 Joshua Wolf (2006)--A free-lance blogger and videographer in San Francisco, Wolf was jailed for refusing to turn over a videotape of a 2005 protest. Wolf taped clashes between demonstrators and San Francisco police during a June 2005 protest by anarchists against a Group of Eight economic conference. Wolf sold footage of the protest to San Francisco television stations and posted it on his Web site. Investigators wanted Wolf's testimony and portions of his videotape that were not broadcast, as part of a probe into possible criminal activity, including an alleged attempt by protesters to burn a police vehicle. Wolf was in prison from August 2006 to April 2007. Vanessa Leggett (2001)--A free-lance writer in Houston, Texas, Leggett was jailed without bond for refusing to turn over research for a book she was writing about the 1997 murder of Houston socialite Doris Angleton. Leggett was in jail from July 20, 2001, to January 4, 2002. Wolf and Leggett were held longer than I was, but their incarcerations involved reporting on criminal matters and likely were lawful. Mine involved a purely civil matter--a preliminary injunction in a defamation case, which has been a forbidden prior restraint under First Amendment law for more than 200 years. We've found two other cases of American journalists being incarcerated related to civil matters. Both involved refusal to turn over information about sources during depositions. New York gossip columnist Marie Torre was ordered jailed for 10 days, in a case involving actress Judy Garland. And Belleville, Illinois, editorial writer Richard Hargraves was jailed for three days, in a case involving critical reports of a county supervisor. How do the numbers stack up? My incarceration was more than 15 times longer than any other for a U.S. journalist in a civil matter. My incarceration was widely covered in the press, both Web and mainstream. Every serious account I've seen--including those from writers on the opposite side of the political spectrum from me--have stated it was clearly unlawful. Multiple social-interest organizations, including the ACLU and the Reporters Committee for Freedom of the Press, filed court briefs stating it was unlawful. But my sense is that the general public still does not fully understand the grotesque nature of what happened in Shelby County, Alabama. The comparable events cited above show it truly was off the charts. In fact, it appears to be unprecedented in American history. Will UA trustees gut undergraduate programs at UAB and UAH to help pay off massive debt in Tuscaloosa? The University of Alabama Board of Trustees plans to address a debt of almost $1 billion by gutting undergraduate programs at UAB and UAH, according to a report from an associate professor at a Southeastern Conference school. A misguided growth program at the Tuscaloosa campus is "unsustainable," according to the report, and the killing of UAB football is the first step toward turning the Birmingham campus into mostly a medical school, with the campus in Huntsville designated for math and science programs only. Students who want a comprehensive undergraduate experience will have to go to the campus in Tuscaloosa--to help bail trustees out of a spiraling debt. John Knox, an Alabama native and UAB mathematics graduate, is an associate professor of geography at the University of Georgia. He has shown that UA has "non-current liabilities"--mostly long-term debt--of $951.8 million, up 169 percent in just five years. Knox says the debt bubble likely will burst, leaving a nightmarish mess at the feet of Alabama taxpayers. How did this happen? Knox traces it to a growth plan that UA President Robert Witt (now chancellor of the UA System) launched in 2003, built largely on recruitment of out-of-state students, with the goal of turning UA into a top-tier research institution. The plan coincides with Paul Bryant Jr.'s rise to power on the Board of Trustees, beginning in 2000--and Knox says it is failing miserably. Enrollment at the Tuscaloosa campus shot up by 126 percent from 1982 to 2014, while the population of Alabama rose only 24 percent during that period. Where did those students come from? Mostly from out of state, and recruiting students from faraway places is expensive. That was a key factor in fueling the current debt. "The hidden agenda is to focus UAB as medical school only, UAH as math and science only . . . (board of trustees) presidents have pushed this agenda . . . Deep pockets of trustees allow them to buy whatever they want." (It was) no less than a former member of the University of Alabama System Board of Trustees responding to my queries concerning Ray Watts and the imminent termination of football (and bowling, and rifle, as it turned out) at UAB. This source is the ultimate insider, who refuses to go public out of deep fear of retaliation. From that moment forward, I knew that the battle for football at UAB was about much more than athletics. It is a last stand by Birmingham against those on the UA board who wish to crush autonomous public higher education in the Magic City. This debt is the result of a growth plan run amok at the Capstone, without any UA board restraint. Current UA System Chancellor Robert Witt created this plan as UA president in 2003, with dreams of UA at last becoming a tier-one research university, growing a larger student body, and serving the citizens of the state. The plan didn't work. The research university dreams at UA have crashed and burned. Witt's big push barely moved the needle on the national ranking of UA among research universities (UA was a miserable 190th in the nation in research expenditures in 2013). I have recently learned through sources at the Capstone that there will soon be zero "hard money" funding for any college-based research centers or institutes on the UA campus, a tacit admission of failure. Instead of research, the big bucks have been poured into metastatic growth for growth's sake, centered on extracurriculars, not academics. To try to cover the ensuing debt, UA has gone after out-of-state tuition payers with such vigor that the Capstone's dearth of Alabamians has become national news. But without steadily increasing out-of-state tuition revenues, the debt will be unsustainable—the Moody's reports on recent bond issues for UA imply as much. How bad is the situation? A respected academic colleague at another flagship university with inside knowledge of the situation in Tuscaloosa gave me his assessment: " . . . a very unsustainable model . . . they are driving 100 mph toward a brick wall." 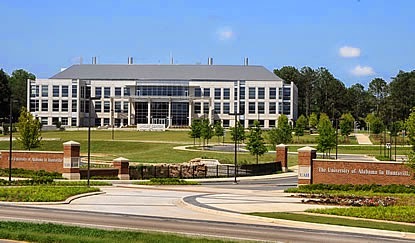 This is where the over 17,000 undergraduates at the Birmingham and Huntsville campuses likely come in. UA needs more in-state undergraduates to maintain the illusion of a commitment to the state of Alabama and keep the state's power-brokers happy. How many more in-staters are needed? A lot—because at the same time, UA is going to have to keep bringing in even more out-of-staters to try to grow its revenues faster than its spiraling debt. Where could UA magically find thousands upon thousands of in-state students to enroll? The perfect solution: Shut down UAB and UAH at the undergraduate level and herd those students to Tuscaloosa. Judging from the current mission statements of UAB and UAH that curiously omit the word "undergraduate," this plan has been in the works for a while. My trustee source confirms this. A reasonable person might say, "But UAB and UAH have been extraordinarily successful campuses--driving economic growth, bringing in research dollars, offering top-notch educational opportunities in metropolitan centers. No way the UA System could shut them down." Knox's reply: Don't be so sure about that. Could a Board of Trustees be so short-sighted and venal as to contemplate the gutting of two universities in order to pay off the irresponsible billion-dollar debt of a third? This is Alabama. Yes. In summary, the decisions made at UAB during the past six months regarding athletics, by a president servile to the UA board are the beginning of the end of UAB as we know it. Sports will go first, followed by the undergraduate programs. In doing so, the board is killing the goose that has laid the golden eggs. If the U.S. Eleventh Circuit Court of Appeals cannot uphold the law and dispense justice, it can at least provide consistency. That seems to be the lesson from the court's opinion yesterday that upheld convictions against former Alabama governor Don Siegelman by pointing to its earlier ruling against codefendant and former HealthSouth CEO Richard Scrushy. In the process, a three-judge panel virtually ignored perhaps the single most important issue raised on the Siegelman appeal--that, under the law, the former governor is entitled to discovery on whether former U.S. attorney Leura Canary abided by her supposed recusal in the case. How did the Eleventh Circuit paper over this inconvenient truth? By essentially saying, "Well, we screwed Scrushy on this issue, so in order to be consistent, we have to screw Siegelman, too." The panel didn't actually use those words. Instead, they used a fancy legal term called "law of the case." But when considered in the context of numerous erroneous rulings in the Siegelman matter, "law of the case" pretty much means, "We've made huge numbers of mistakes in this case, so we've got to keep right on making them." How's that for postmodern American justice? Ain't it grand? Ironically, the appellate ruling came just two days after our most recent post showing that a U.S. magistrate in Montgomery, Alabama, made unlawful rulings on discovery issues in the case--and lied about it in court documents. Is Siegelman out of options? Technically, the answer is no. He could seek an en banc hearing of the full Eleventh Circuit (minus Birmingham-based Bill Pryor, who has enough conflicts in the matter to sink the USS Missouri.) He also could seek review from the U.S. Supreme Court, which already has declined to hear the case once. A presidential pardon is not out of the question. But the grim truth is this: The federal judiciary and the Obama Department of Justice (DOJ) are deeply invested in covering up scandalous actions in the Siegelman case, so it's hard to see help coming from either of them. What if the public became enraged enough to conduct street protests, around the country, similar to those recently seen in Baltimore? The Siegelman fiasco merits that sort of outrage, but large numbers of Americans have moved on to other concerns--like when will Bruce Jenner officially become a "she." As for the Eleventh Circuit's ruling yesterday, the appellate judges clearly based their Siegelman finding on the wildly deceitful actions of Charles Coody, a U.S. magistrate in the Middle District of Alabama. The panel judges also provided cover for their corrupt colleague. Neither of those moves should surprise anyone. Coody is noted for denying Siegelman/Scrushy discovery requests on the Canary issue, after claiming to have reviewed all relevant documents himself in camera--and announcing they provided no helpful evidence for the defendants. Unfortunately, court documents show that Coody didn't even order the Canary documents from the DOJ (totaling some 1,000 pages), so he could not possibly have reviewed them. How do the Eleventh Circuit judges deal with this slight problem? One, they reference a magistrate judge and his rulings, but they never mention Coody's name. Two, they act as if the Siegelman legal team didn't bring up the Canary discovery issue. 1. Whether the participation in Siegelman’s prosecution by United States Attorney Leura Canary, after she had ostensibly disqualified herself from the case due to a conflict of interests, necessitates a new trial, or at least warrants an evidentiary hearing. In other words, Siegelman was entitled--under Eleventh Circuit case, backed up by U.S. Supreme Court precedent--to fully develop the facts. And that's because he made specific allegations that Canary's participation violated his constitutional right to a disinterested prosecutor. We also affirm the magistrate judge’s denial of Siegelman’s related motion for additional discovery on this issue. See Scrushy, 721 F.3d at 1303 n.27. Again, the court is saying, in so many words, "We butchered this issue for Scrushy, so the law requires us to do the same thing with Siegelman." As most commonly defined, the law-of-the-case doctrine “posits that when a court decides upon a rule of law, that decision should continue to govern the same issues in subsequent stages in the same case .” Pepper v. United States, 131 S. Ct. 1229, 1250 (2011) . . . Importantly, we also have held that the doctrine applies to those issues decided on a co-defendant’s earlier but closely related appeal. See United States v. Bushert, 997 F.2d 1343, 1356 (11th Cir. 1993) (holding that the co-defendants’ prior appeal mooted any subsequent appeal by the defendant under the law-of-the-case doctrine because the defendant’s appeal would have challenged the same joint motion that his co-defendants’ appeal had unsuccessfully challenged). There are some narrow exceptions to the law-of-the-case doctrine. See United States v. Tamayo, 80 F.3d 1514, 1520 (11th Cir. 1996) (“We have recognized narrow exceptions to the law of the case doctrine, where there is new evidence, an intervening change in controlling law dictating a different result, or the appellate decision, if implemented, would cause manifest injustice because it is clearly erroneous.”). We conclude that none of these exceptions apply here . . . This is a classic example of how a corrupt court works. It says that Siegelman could overcome "law of the case" with new evidence, but it denies the opportunity to obtain new evidence--even though Siegelman is entitled to it under the binding precedent of Arthur v. Allen. Does binding precedent matter in federal cases that arise in Alabama, Georgia, and Florida--the three states covered under the Eleventh Circuit? The obvious answer is no, not when precedent would interfere with the court's predetermined outcome. An appellate court today upheld convictions against former Alabama governor Don Siegleman in a case that has become widely known among many legal experts as the most notorious political prosecution in the nation's history. The ruling from the U.S. Eleventh Circuit Court of Appeals can be read at the end of this post. We will have an analysis of the court's findings tomorrow. 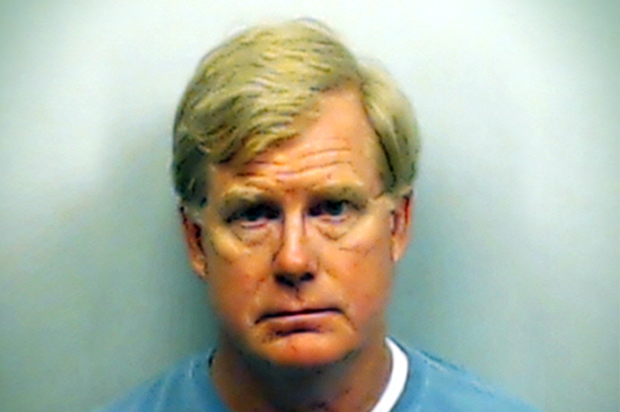 A federal appeals court Wednesday denied former Gov. 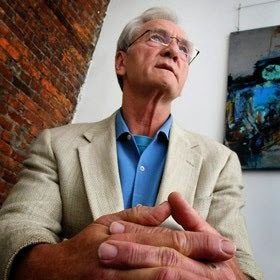 Don Siegelman's bid for a new trial, saying he relied on arguments that judges rejected in an appeal from his co-defendant in their 2006 trial on bribery and corruption charges. Siegelman argued that the district court should have considered whether then-U.S. Attorney Leura Canary, who recused herself from Siegelman's investigation in 2002, had honored the recusal. Former HealthSouth CEO Richard Scrushy made the same arguments in his motion for a new trial, citing emails from a whistleblowers in which Canary suggested a gag order be placed on Siegelman during the trial; forwarded an email on its coverage and approved a staffing decision. The three-judge panel rejected Scrushy's argument in 2013, writing "there is no evidence that Canary's emails influenced any decisions made by the U.S. Attorney's office in prosecuting Scrushy." In the former governor's case, the court wrote that it had to follow its decision on Scrushy. "Regardless of whether Canary possessed a stronger conflict of interest with respect to Siegelman, our determination in Scrushy that there was no evidence that Canary influenced the prosecution team , , , binds Siegelman on this appeal," the opinion said. Could crime-fraud exception to confidentiality rule thwart efforts to disrupt Mike Hubbard probe? During the 2014 election, Alabama House Speaker Mike Hubbard (R-Auburn) touted his Christian faith as a reason voters should re-elect him, even though he faced a 23-count indictment for alleged felony violations of state ethics laws. 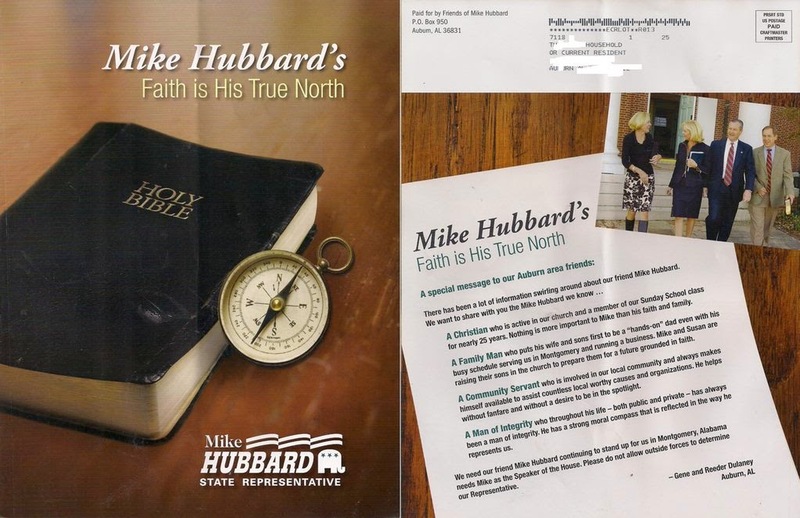 One pro-Hubbard mailer featured a photo of the Holy Bible with a compass--and a tag line that states: "Faith Is His True North." Was that a reference to Mike Hubbard or to Jesus Christ himself? Sometimes, in right-wing Alabama politics, it's hard to tell where the candidate ends and the deity begins. This much seems clear: The behavior of Hubbard, and various lawyers connected to him in the Lee County grand-jury investigation, is anything but Christ-like. In fact, it might be enough to test the gag reflex for any person of genuine faith. What is most gag-inducing at the moment? Well, there is a close race for that "honor," but our vote goes to an apparently coordinated effort by various lawyers to use attorney-client privilege for purposes of gaining inside information about the criminal probe. Our research indicates the "crime-fraud exception" might help pierce the attorney-client privilege and produce additional damaging information against Hubbard--and perhaps some of the lawyers who appear determined to disrupt the grand jury's work. Two members of Attorney General Luther Strange's office--Sonny Reagan and Gene Sisson--have been forced out amid allegations that they leaked grand-jury information to pro-Hubbard forces. Bill Britt, of Alabama Political Reporter, wrote in late April that Birmingham lawyers Rob Riley and Bill Baxley likely were among those participating in the Reagan/Sisson schemes. Britt reports that Rob Riley and others are taking extraordinary steps to undermine the investigation. At the heart of the scheme is a game of legal musical chairs, with Rob Riley and Bill Baxley representing multiple clients in an apparent effort to use attorney-client privilege as a way to get inside information. The idea seems to be that Riley and Baxley can use their status as lawyers for multiple clients in the case to obtain inside information--and the attorney-client privilege will provide a shield to help them get away with it. The inside information, it apparently is hoped, will help their clients avoid criminal convictions--and maybe avoid prosecution altogether. First, the lawyer may not counsel or assist a client in conduct that is criminal or fraudulent. See Rule 1.2(d). Similarly, a lawyer has a duty under Rule 3.3(a)(3) not to use false evidence. This duty is essentially a special instance of the duty prescribed in Rule 1.2(d) to avoid assisting a client in criminal or fraudulent conduct. . . . If the lawyer's services will be used by the client in materially furthering a course of criminal or fraudulent conduct, the lawyer must withdraw . . .
E-mail evidence in the case indicates Rob Riley was among those who received leaked grand-jury information from Sonny Reagan. That points to likely obstruction, which would trigger the crime-fraud exception and require Rob Riley's testimony. Similar circumstances also could require Bill Baxley's testimony. (1) Is the Alabama State Bar trying to protect Rob Riley, perhaps due to his status as the son of former Governor Bob Riley? (2) Is Tony McLain familiar with the very rules he is supposed to uphold? The bottom line? Mike Hubbard might use The Bible in an effort to maintain his seat of power, but when you examine his actions and the actions of those connected to him . . . well, it's hard to see anything holy about that. A recent Alabama Supreme Court ruling suggests all of the orders in the Rob Riley/Liberty Duke defamation lawsuit against my wife and me were void and due to be vacated. That includes the order that unlawfully sent me to jail for five months. What happens when a court takes action against defendants over which it does not have personal jurisdiction? Specifically, what happens when defendants challenge service as improper or invalid, and plaintiffs fail to prove otherwise? A case styled Ex parte Trust Company of Virginia (Ala. Sup. Ct., 2012) addresses those questions and illustrates the importance of making sure defendants are properly served with a complaint. If service is not proven to be proper, or "perfected" as judges like to say, the court essentially has no authority to act. That means Alabama judge Claud Neilson had no authority to send me to jail on a contempt-of-court charge for allegedly violating a preliminary injunction and temporary restraining order (TRO) in the Riley/Duke case. Of course, we already have shown--and analysts from all corners of the political spectrum have agreed--that Neilson's orders were unlawful on First Amendment grounds. But now we know Neilson's actions were worse than unlawful; they were void because he had no authority to make them. How do we know? Let's consider the words from Ex parte Trust Company of Virginia. That was an estate case in which the Trust Company of Virginia (TCVA) had been appointed conservator of property owned by a woman named Amy Falcon Morris. Ms. Morris had been declared incapacitated in 2008, and when she died in 2011, an Alabama probate court issued several orders against TCVA. The trust company filed a motion to vacate those orders, which the trial court denied. TCVA then sought an interlocutory writ from the Alabama Supreme Court, directing the lower court to vacate the orders for lack of personal jurisdiction. TCVA argues that the probate court lacked personal jurisdiction over TCVA because TCVA was not named as a party in the probate proceeding and was not served with notice of the proceeding in the probate court. We observe that TCVA maintains that it was never served with process of the proceeding in the probate court or provided with proper notice of that proceeding. This Court has held: . . .
"When the service of process on the defendant is contested as being improper or invalid, the burden of proof is on the plaintiff to prove that service of process was performed correctly and legally." Ex parte Volkswagenwerk Aktiengesellschaft, 443 So. 2d 880, 884 (Ala. 1983). We made the same argument in our motion to quash. (See motion at the end of this post.) In the TCVA case, the trial court conducted a hearing on the service/jurisdiction issue. In the Volkswagenwerk case, three hearings on the issue were conducted, apparently because it involved complex issues of international service. Either way, Alabama law requires a hearing for both parties to submit evidence, with the burden of proof on plaintiffs to show that service was performed properly. In our case, I was arrested and thrown in jail before ever receiving notice of a hearing--and, in fact, the record shows that no hearing was held, and Riley/Duke never were required to meet their burden. Mr. Morris, as administrator of the estate opened in the probate court, has not alleged any facts before this Court that would prove that he served the conservatorship, nor has he contested TCVA's allegation as to the absence of service of process. It is axiomatic that a court does not obtain personal jurisdiction over a party upon which service of process has not been perfected and proper notice has not been provided. Because there is no evidence before this Court that the conservatorship ever received service of process or proper notice, the probate court does not have personal jurisdiction over the conservatorship, and its orders directed to the conservatorship are void and due to be vacated. Like Mr. Morris, Riley and Duke never met their burden to show that service of process was perfected and proper notice was provided. That means Judge Claud Neilson never obtained personal jurisdiction over my wife and me--and all of his orders directed to us are void and due to be vacated. Is this profound? Well, I lost five months of my freedom because of an order from a judge who had no authority over me. 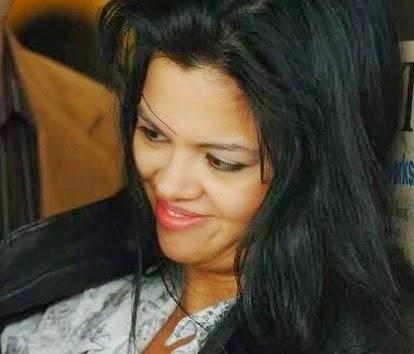 My wife lost her husband for five months--and some might say that's not such a bad thing--but she also was terrorized for five months, fearful that she too would be arrested. This adds more evidence to my claim that my arrest amounted to a state-sanctioned kidnapping--all because I write a blog that made a few powerful people uncomfortable. I invite you to step into our shoes and ask yourself, "How would I feel if this was done to me and my family? How would I feel if a rogue judge ordered me or someone I care about to be kidnapped?" A U.S. magistrate in Alabama clearly lied in a public ruling about his "review" of documents related to prosecutor Leura Canary's supposed recusal in the Don Siegelman case. Now we can show that the same magistrate butchered the applicable law on whether Siegelman and codefendant Richard Scrushy were entitled to discovery on the Canary issue. The bottom line? U.S. Magistrate Charles S. Coody screwed up both the facts (and lied about doing it) and the law on an issue that is central in the Siegelman case--that the defendants apparently were denied their constitutional right to an impartial prosecutor. In fact, Coody laid the foundation for U.S. District Judge Clay Land's refusal last December to release Siegelman from prison, pending oral argument before the Eleventh Circuit in January. A ruling on that appeal has yet to be issued. We already have shown how Coody failed to review Canary-related documents because he did not even order them. We also have shown that Coody proceeded to lie about what he had done. While Coody clearly cannot be trusted on matters of fact, he also has problems with matters of law. For example, Coody denied Siegelman's discovery request largely because the former Alabama governor had "pointed to no prejudice he had suffered as a result of Canary's involvement"--even though Siegelman presented actual evidence, thanks to whistleblower Tamarah Grimes, that Canary failed to abide by her recusal. What's the problem with Coody's finding? Well, under the law, "no prejudice" is not the proper issue. Coody used the wrong legal standard. Siegelman points to no prejudice he suffered as a result of Canary's communications. He provides the court with no credible evidence that the United States Attorney directed, managed, influenced or controlled any aspect of the prosecution of the case. In this instance, however, Siegelman is seeking discovery regarding Canary's communications--and he does not have to show actual prejudice. The real standard, on a discovery matter, is governed by a case styled Bracy v. Gramley, 520 U.S. 899 (1997). It is a U.S. Supreme Court case that has been cited in many lower-court rulings, including Arthur v. Allen 459 F. 3d 1310 (Eleventh Circuit, 2006). It is grounded in a 1969 U.S. Supreme Court case styled Harris v. Nelson, 394 U.S. 286 (1969). In Harris, we stated that "where specific allegations before the court show reason to believe that the petitioner may, if the facts are fully developed, be able to demonstrate that he is . . . entitled to relief, it is the duty of the court to provide the necessary facilities and procedures for an adequate inquiry." As Siegelman's lawyers showed in an appellate brief, the defendant more than met the standard of providing "specific allegations." That meant Coody had a "duty" to "provide . . . for an adequate inquiry." But he did not do it; in fact, he lied about what he had done. Here, Siegelman not only provided specific allegations, but also actual evidence, which the Magistrate Judge and Judge (Mark) Fuller ignored, that discovery would have yielded facts supporting his new-trial claim. 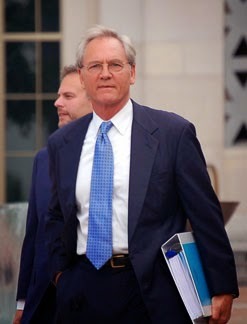 In addition to the emails showing Canary’s ongoing involvement, Siegelman’s discovery request was supported by Grimes’s letter to the Attorney General, in which she wrote that Canary “directed some action” in the case, made “suggestions” to Franklin, and wrote “all the press releases” issued under Franklin’s signature. . . . The district court could have sought testimony or evidence from Grimes—but did not. Siegelman also pointed to the FOIA suit, which turned up more than 500 pages of responsive documents relating to Canary’s disqualification. . . . The district court could have ordered the government to turn over these documents—but did not. Until now, Charles S. Coody has been a relatively unknown player in the Siegelman drama. But we've shown that Coody's errors of fact and law require reversal--and a legitimate inquiry into Leura Canary's recusal. Will the Eleventh Circuit ensure that Coody's errors are corrected? Or will the appellate court simply try to cover up for him? A hearing on a motion to vacate a $3.5-million default judgment in the Jessica Medeiros Garrison case originally was scheduled to be heard this week (May 20) in Jefferson County Circuit Court. But Judge Don Blankenship, on his own motion, postponed the hearing--with no explanation. The motion now is set to be heard at 9:30 a.m. on June 4 in Room 600 of the Jefferson County Courthouse. 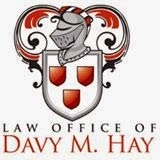 Attorney Davy Hay, of Prattville, is representing me in the case. Missouri's Republican House speaker resigned yesterday after admitting he exchanged sexually charged text messages with a female intern. Mike Hubbard, who holds a similar position in Alabama, meanwhile clings to power despite a 23-count criminal indictment for alleged violations of state ethics laws. 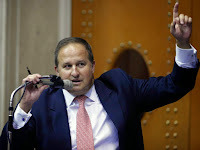 John Diehl resigned from the Missouri Legislature in the wake of a Kansas City Star report that provided details about his relationship with Katie Graham, an intern and college freshman at Missouri Southern State University. Diehl, who is married and has three sons, faces no criminal allegations, but he admitted the text messages call into question his fitness for leadership. From a report at Yahoo! Diehl acknowledged "making a serious error in judgment by sending the text messages" to the intern, who no longer works at the Capitol. "I'm going to do what's best for the (House) body and the (Republican) caucus, and step aside out of my office," Diehl said in an interview with The Associated Press and reporters from three other media outlets. "I made a mistake," Diehl said. "It's one that calls into question my ability to lead." Does a 23-count indictment--plus an ongoing grand-jury investigation that could lead to additional charges against Hubbard and others--say anything about the Alabama speaker's ability to lead? Apparently not. 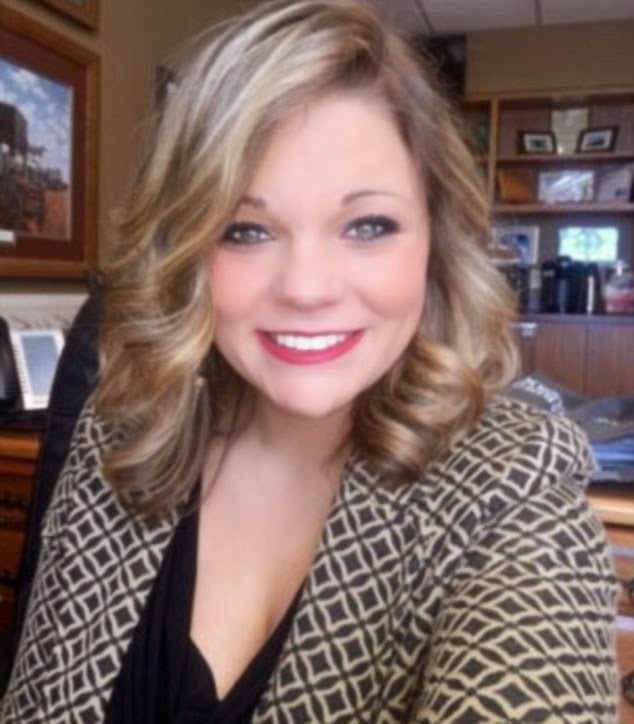 The discovery of the text messages between Diehl and the intern follows a decision by Missouri Southern State University to end its Capitol internship program more than a month prematurely. Richard Miller, dean of the School of Arts and Sciences at Missouri Southern, told The Star that the school pulled its four interns out of the state Capitol this spring after an unspecified incident. Yet Miller, citing student privacy laws, declined to be more specific about what led the university to end the internships. Missouri Southern has held a legislative internship program for the past 20 years, sending students to the United Nations in New York City and Washington, D.C.
Screenshots of the text messages between Diehl and the intern are punctuated throughout with emoticons and emojis — cartoonish faces that smile or wink. They paint a picture of playful sexual innuendo. Shortly after he writes: “I want to see more” followed by a smiling emoji. Another week later, last Friday, [Diehl's] staff offered to deliver records for both his personal cellphone and another cellphone paid for by his law firm, Husch Blackwell. Those records took several days to produce. They showed just six text messages sent from the intern to Diehl. While they were presented as evidence that no significant text exchange with the intern occurred, they show only a log of conventional text messages. Yet the texts obtained by The Star and presented last month to Diehl show conversations over Apple’s proprietary iMessage platform. Texts on iMessage wouldn’t show up on a cellphone record unless they were sent or received when no Wi-Fi or mobile Internet connection is available. Neither Diehl nor his staff ever mentioned that he regularly uses iMessage to send texts until asked by The Star on Tuesday. In other words, Diehl tried to hide the damaging messages until a newspaper reporter caught on to his game and trapped him in a corner. That raises these questions, from an Alabama perspective: (1) Does Mike Hubbard use the iMessage platform, and if so, have prosecutors checked it for messages? 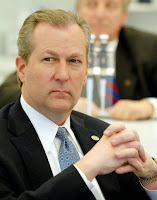 (2) What about Hubbard allies who have been connected to the Lee County grand jury--including former Governor Bob Riley; his children, lawyers Rob Riley and Minda Riley Campbell; lawyer Bill Baxley; and former Attorney General staffers Sonny Reagan and Gene Sisson? Do those folks use iMessage, and has law enforcement checked any messages on the Apple platform? It's obvious John Diehl is not an honorable guy; he tried to hide his ugly secret and only resigned when a newspaper nailed him with evidence he could not refute. Does a similar fate await Mike Hubbard, and perhaps some of his associates, in Alabama? An Alabama deputy admits in court papers that he conducted a "pretext" traffic stop of my wife and me to serve us court papers in a defamation lawsuit brought by Republican political operatives Rob Riley and Liberty Duke. The entry, however, indicates the deputy does not know the definition of a pretext stop, meaning the stop likely was unlawful from the outset. It also adds to evidence that we never were lawfully served with the Riley/Duke complaint, and the court had no jurisdiction over either of us--even though Judge Claud Neilson ordered me incarcerated for five months. A log of service attempts has a deputy admitting that he conducted surveillance on our house for approximately two hours prior to the traffic stop. The log shows that deputies tried to serve us 10 times in a six-day period--from Sept. 24, 2013, to September 29, 2013. This shows the extraordinary lengths the Shelby County Sheriff's Office took to serve court papers on behalf of Rob Riley, son of former Governor Bob Riley. Would the Rileys consider this a proper and effective use of taxpayer dollars? The answer apparently is yes. More importantly, Officer Mike DeHart seems to admit that, when conducting his traffic stop, he violated our Fourth Amendment right to be free from unreasonable searches and seizures. It also appears that DeHart more or less confesses to a crime. 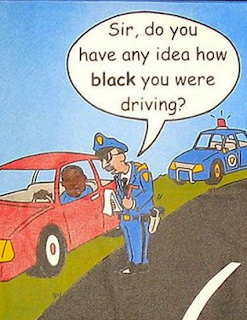 My wife and I are white, but these issues raise the specter of race-based stops that created the phrase "driving while black." 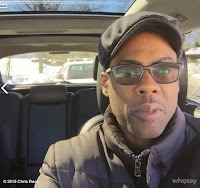 Even famous black males, such as comedian Chris Rock, have experienced the dangers of driving while black. Rock has started taking photos with his cell phone to help document such encounters with police. As for our case, the full log of service attempts can be viewed at the end of this post. It shows attempts being made at almost 8 p.m. and 9 p.m., well after dark. On both occasions, deputies shined lights in our house for lengthy periods of time, the kind of behavior that would get a regular person arrested as a prowler. Conducted a pretext traffic stop on the Shulers' blue Nissan after observing it roll thru stop sign at MacIan/Keith Drive; Stop was at North Shelby Library; warning issued for traffic violation and both parties were served with papers, which they discarded in the parking lot as they left. DeHart is mistaken about several things here. One, he handed me a copy of papers, but he did not give papers to my wife, Carol. So, DeHart's own words show that Carol was not lawfully served. Two, DeHart apparently does not know the definition of a pretext traffic stop, meaning he did not lawfully serve me either. That definition is in keeping with Whren, which involved an officer who stopped a vehicle, on the surface, for a traffic violation--but the real reason for the stop was suspicion of illegal drug activity. In fact, a search subsequent to the traffic stop turned up crack cocaine, and SCOTUS found the pretext stop was legal because it's real purpose was to seek information about a suspected crime, the illegal distribution of drugs. The ruling in Whren v. U.S. demonstrates how easy it is for officers to [conduct pretext stops]. There are numerous minor infractions for which officers can legally pull over a car -- dirty license plate, broken tail light, changing lanes without signaling, loud muffler, etc. As such, officers frequently choose which cars to pull over based on suspicions that something more serious might be going on. Police officers make this decision based on age, race, and appearance. This is unconstitutional, but impossible to prove. Chris Rock knows all about that. Whether you agree or disagree with the finding in Whren, it's clear Officer DeHart's actions in our case creates problems. By definition, a legitimate pretext stop involves suspicion about a crime, one more significant than a traffic offense. But DeHart's own actions and words prove that he never suspected a crime, significant or otherwise, was connected to our car. That means DeHart did not conduct a lawful pretext stop under Whren, and he violated our Fourth Amendment rights. Things could get even dicier for DeHart. The log of service attempts shows that DeHart was so desperate to serve us that he scoped out our house for two hours. Then, with tens of thousands of vehicles on the road in North Shelby County, DeHart just happened to pick out for a traffic stop the one for which he had court papers. Of all the cars on the road, DeHart just happened to notice ours "rolling through a stop sign." Does that pass your smell test? It sure doesn't pass mine? Could it point to criminal actions on the part of Officer DeHart? We will address that question in an upcoming post.